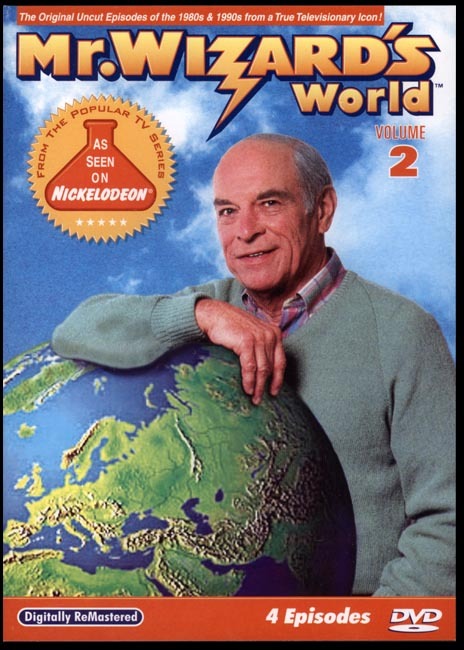 Authoritative, intelligent and always accompanied by a young assistant, television’s Mr. Wizard brought science to America’s kids from the 1950s through 1980s with experiments using household items like eggs, balloons and coffee cans. While many may remember him from his 1980s program on Nickelodeon, Mr. Wizard’s career spanned decades. Now an important piece of Mr. Wizard has come to the Smithsonian. This month a trove of personal papers, files and other items belonging to the late Don Herbert—Mr. Wizard—was acquired by the Archives Center of the Smithsonian’s National Museum of American History in Washington, D.C. The materials, a donation from Herbert’s daughter and son-in-law, Kristen and Tom Nikosey, will be conserved and organized by the Smithsonian’s Archives Center and are permanently available to researchers interested in Mr. Wizard and his place in American history. “The Mr. Wizard collection reveals how Herbert planned meticulously to share science with the rest of the country through children. His shows were aimed at children to really get them interested in science, and it worked,” Smithsonian Archivist Craig Orr explains. 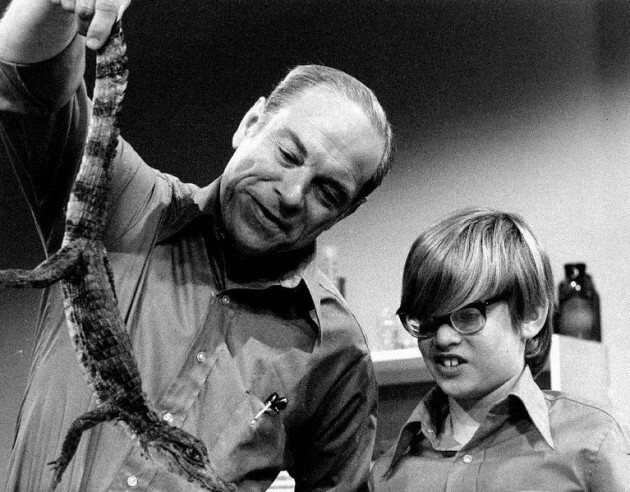 Don Herbert, with a young assistant, exhibiting an example of “Living Animal Fossils” on “Mr. Wizard” in 1971. Cool and always calm, “Watch Mr. Wizard” flickered into America’s living rooms at a critical time when science was driving many aspects of people’s lives. “The atom bomb had been developed and deployed in 1945, about six years before Mr. Wizard went on the air,” Orr says. “America was in a science race with the Soviet Union. When Sputnik, the first satellite, was launched it scared the heck out of everybody in America. People worried if we were scientifically prepared to keep up with the Russians.” Herbert’s TV show helped assuage some of those fears and went on to spark many new scientific careers. Part of Mr. Wizard’s appeal was that he never addressed a TV audience, but talked to a young boy or girl assistant whom he hosted in his studio. “This show was aimed at children but it wasn’t talking down to them, it wasn’t made all fun and giggles,” Orr says. Herbert’s files also contain his research notes on the science being demonstrated. “Herbert prided himself on his scientific acumen and consulted with academics to ensure he got it right,” Orr says. Many of Herbert’s other educational activities are equally well-documented. There are scripts for radio science shows he produced in Chicago in 1946 and1947, before he hit it big with Mr. Wizard; storyboards and film reels of the “Progress Reports” he did for the General Electric Theater; and notebooks and files relating to the 1983-1990 revival of his show on Nickelodeon, among other materials. Herbert’s papers and personal files are important to the National Museum of American History, in part, because of his relevance to other disciplines at the museum: the Physical Sciences and Chemistry collections; the Division of Medicine and Science; and the Division of Work and Industry.